Cats see their owners' homes as a place of exploration and adventure. 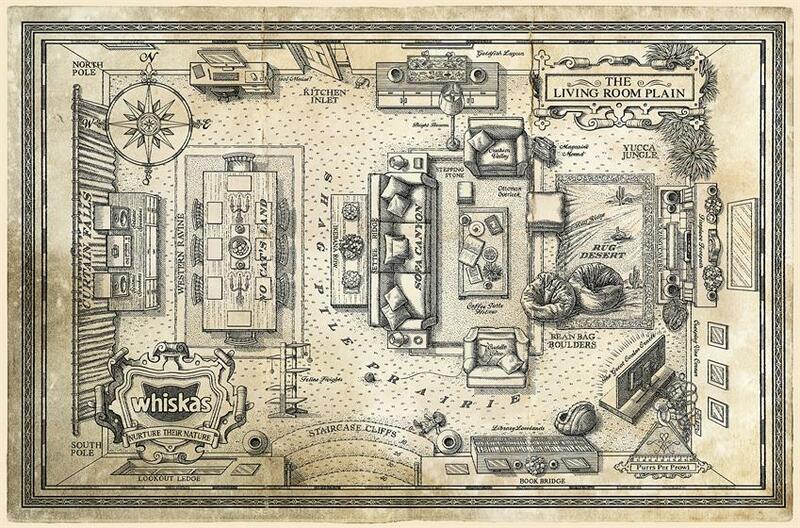 This is the idea behind the new press campaign by Whiskas, which dramatises how cats see the world around them. 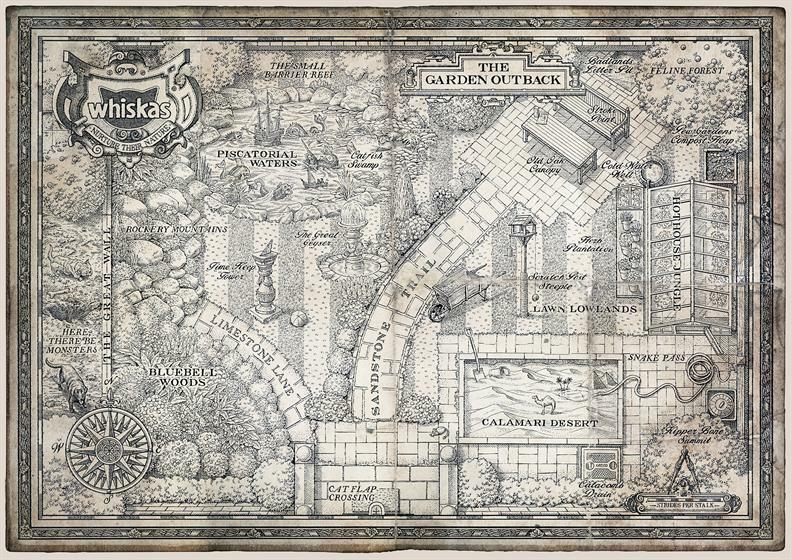 It shows a living room, kitchen and garden which have been carefully illustrated to look like old maps, demonstrating that cats see their homes as large places to explore. 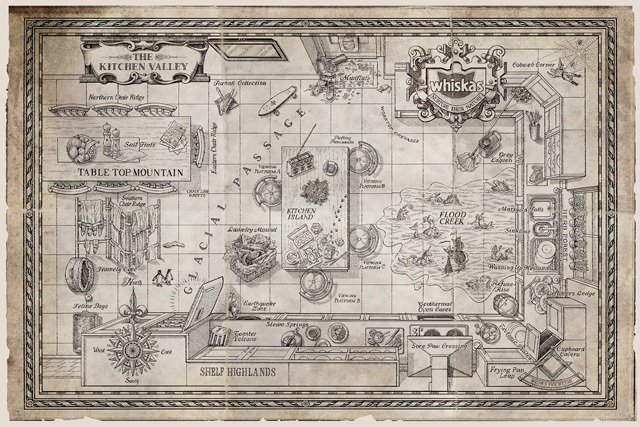 Every single thing on the map has been labelled with a map-specific term. For example, the kitchen table is called 'Table Top Mountain', while the living room rug is titled 'Rug Desert'.